※For booking, require " additional 60min" vacancy (Final booking of the day, "additional 30min"). ex) "12:00-15:00OK"=Max 120min from 12:00, "21:00-24:00OK"= Max 150min from 21:00. 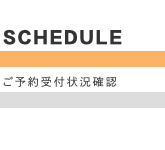 ※Latest Schedule subject to change with some conditions. ※Sameday booking at the shop is acceptable by 22:00. 2019.04.30（火祝Holiday）　◆ 16:30-24:00OK ※【準定休日OnRequest】ご予約はお早めにご相談ください。Contact as soon as possible. If there's not list up below, It's available all day(10:00-24:00). (Within about 1 month except Tuesday (please contact).